Home » Football » Leagues » La Liga » Can Barcelona prove Jose wrong by hitting the magic 100 point mark? To all intents and purposes the Spanish league ended many moons ago. Barcelona effectively reclaimed the title well before the turn of the year, meaning the rest of the season became a long, drawn out precession for everyone else to fight it out over the remaining places. 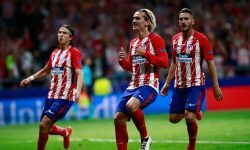 Real Madrid made second spot their own, Atletico Madrid coasted along with third pretty much sewn up, whilst Valencia always seemed in control of the fourth and final champions league spot. As is often the case going into the final day of the season, the most interesting action will take place down south with nobody as yet confirmed as relegated with four teams – Mallorca, Real Zaragoza,Celta Vigo and Deportivo La Coruna – all battling it out to avoid a place in the bottom three. But although things around the lower reaches will too and fro anxiously for the clubs involved, it’s likely to be a much more sedate occasion at the Camp Nou, where champions Barcelona host Europa League chasing Malaga. Out of the two it will be Los Boquerones who require the points more, as Betis can jump above them into sixth with a win at Levante if Manuel Pellegrini’s side lose. Yet Barca have the carrot of reaching the 100 point mark with victory, thus equalling Real’s record total set last season – a tally Jose Mouth-rinho said would never be equalled. Permutations aside, Barca have won all but one of their 18 La Liga games at home so far this season and you have to go back 32 games to October 2011 to find a side other than Madrid who have left these parts on the end of anything other than a defeat. Indeed, since Madrid drew here last October, Barca have chalked up 14 wins on the bounce scoring 49 times in the process. All of which makes pretty bleak reading for the departing Pellegrini and his Malaga men who have won just three of their last ten games in all competitions. It’ll come as a shock to nobody that bwin’s 3Way football betting market has the hosts at strong 1/4 favourites for another three points, with the draw at 21/4 and Malaga miles away at 8/1. Going with that flow, the very best I can see Malaga getting is the all-square which should clinch them a Europa League finish, but you won’t find me wasting any of my hard earned on that. No, as per this will be Barcelona all the way, the only question being whether they turn on the style and roll Los Boquerones or keep the ball for an entire 90 minutes and interlace it with the odd goal. If Los Blaugrana score first and early it could get messy even without Lionel Messi, but the odds on offer don’t give you a particularly big return for a heavy home win. Barca with over 2.5 goals is just 53/100 and you’re just into odds against at 23/20 it’s them with over 3.5 in the game. For me, by far the best value about – once again – is bwin’s multiple correct score market, which offers tasty odds on one of three correct results coming in. Which way you go will be determined by whether you think Malaga will get on the score sheet or not. For what it’s worth they’ve scored in six of their last seven aways and in their last eight against Barca – including the last four at the Camp Nou. If you reckon they’ll notch again, allow me to point you in the right direction of the 2-1, 3-1 or 4-1 Barcelona at a massive 12/5. If you’re a fan of a long shot, then there’s all sorts going on in the scorecast market with the pick of the bunch for me being Alexis Sanchez first scorer in a 3-1 win at 20/1.